Travellers have pitched up on a grass area along Eastbourne seafront. Caravans and a tent set up on King Edward Parade yesterday evening (July 6). This is the second time this year travellers have chosen this particular site. The police and council were informed of a group of travellers at the same site back in May. 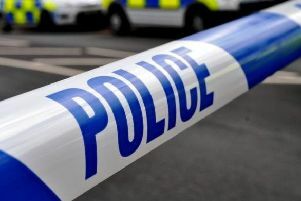 The authorities have been informed of the latest incident and told the Herald they are working to move the travellers on. The picture above was taken by Raymond Hughes this morning (July 7).